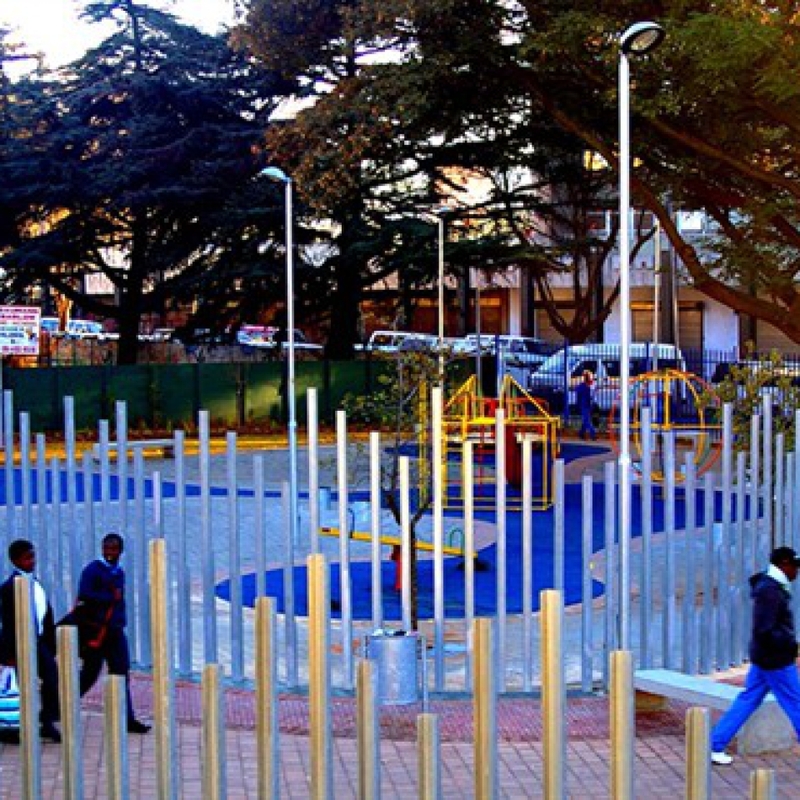 As the leader in community development and regeneration through the creation of improvement districts within the inner city – by addressing both social and schooling issues – Afhco continuously engages the Johannesburg City Council to assist with public space upgrades and service delivery. 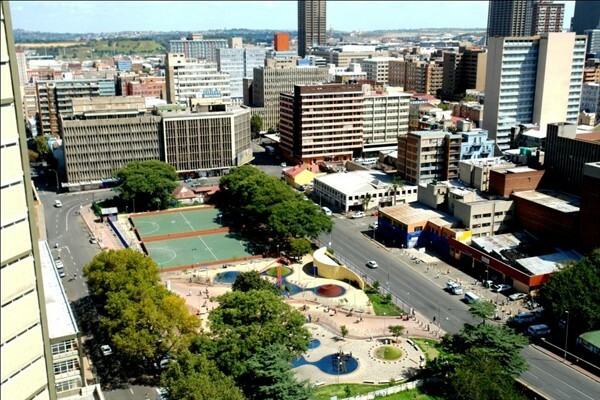 One of these developments is the End Street Park, situated on the corner of Bree and End Streets in Doornfontein. The park has undergone a massive transformation over the past few years. 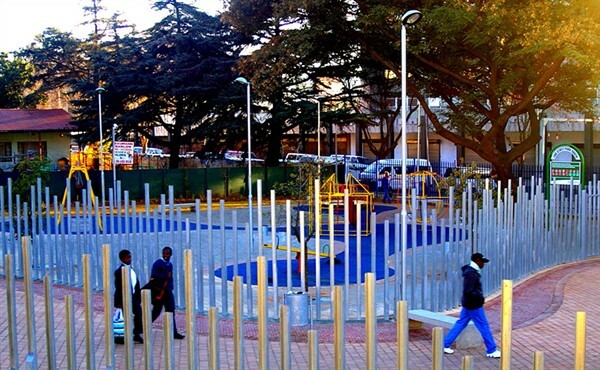 The park underwent a six million rand upgrade in the beginning of 2008. Before the upgrade, the site was mainly used by homeless people as a shelter and as a site for separating recyclable waste. 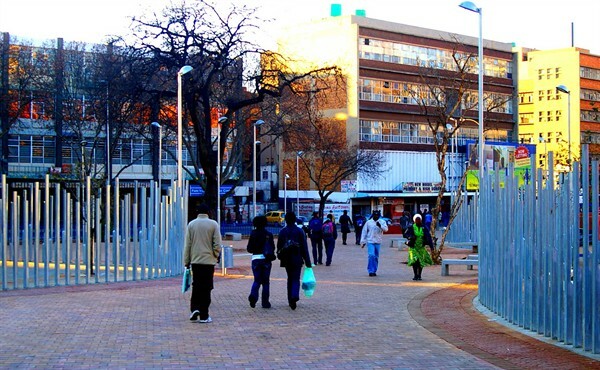 Informal traders also frequented the site, using it mainly as a make-shift abattoir. According to local law enforcement agencies, at night the site served as a base of operations for local prostitutes and drug dealers. 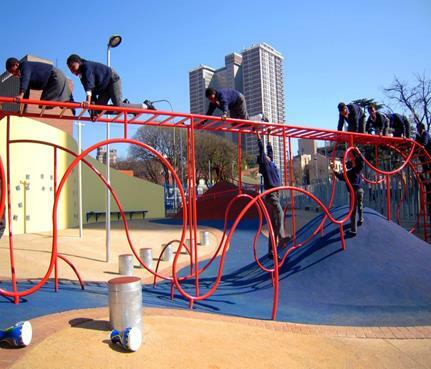 After the upgrade, the JDA approached Afhco Property Management seeking assistance with the management and maintenance of the park, because of Afhco’s experience and presence in the area. 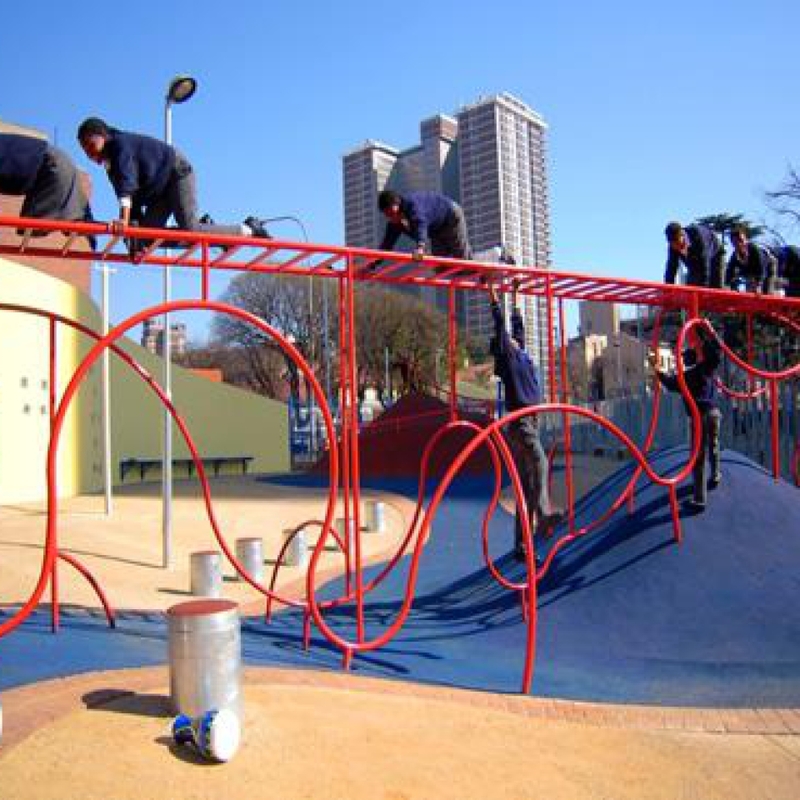 Since 2009 Afhco Property Management has been managing the park, with all expenditure being funded by Afhco Holdings, which to date has cost in excess of R1million. 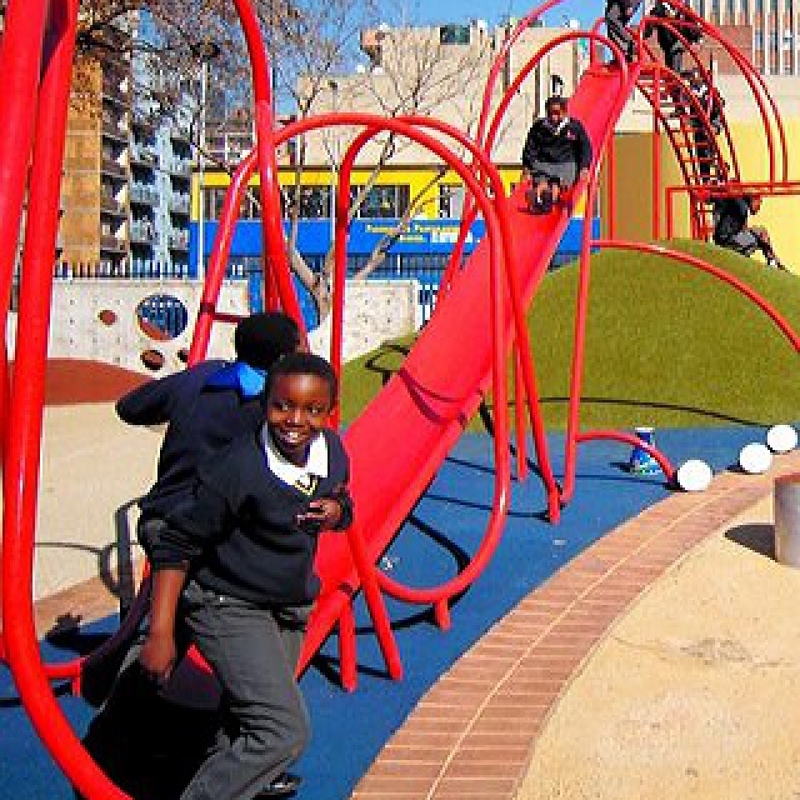 The park is approximately 12,000m² in size and a clean and safe recreational space for inner city kids to play. 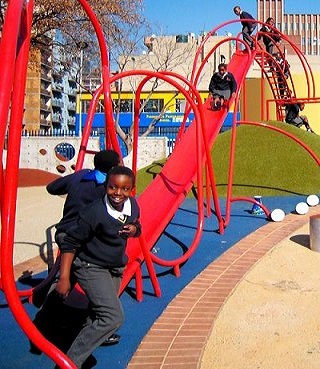 Every week-day afternoon and throughout the day on weekends, kids from all over the inner city can be found playing at the park. 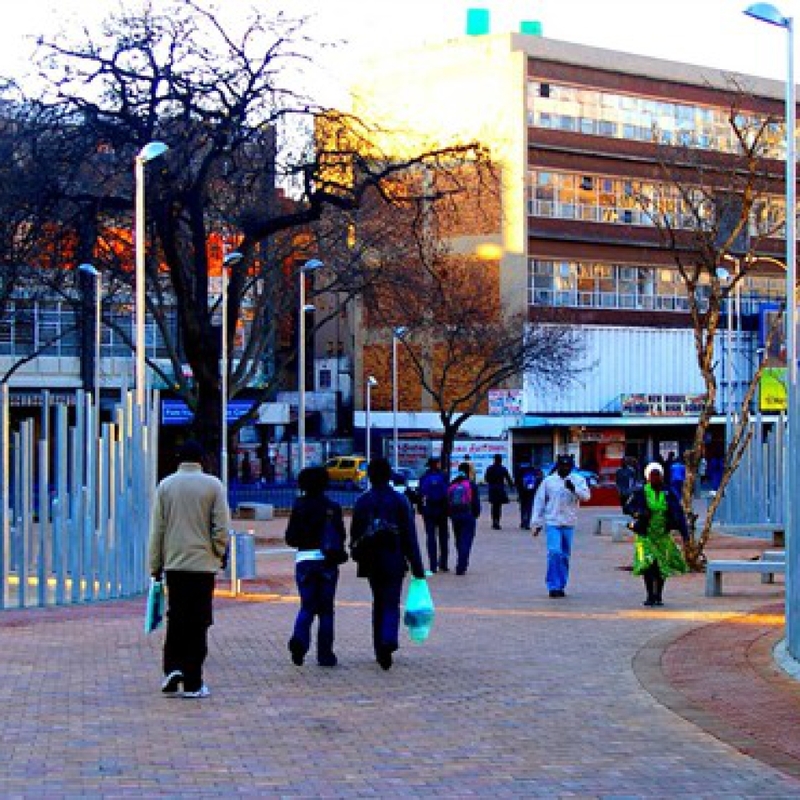 The park has a thoroughfare that connects Doornfontein train station to Noord taxi rank and falls within the boundaries of the proposed New Doornfontein City Improvement District and will benefit from the CID’s public space sanitisation and security services. 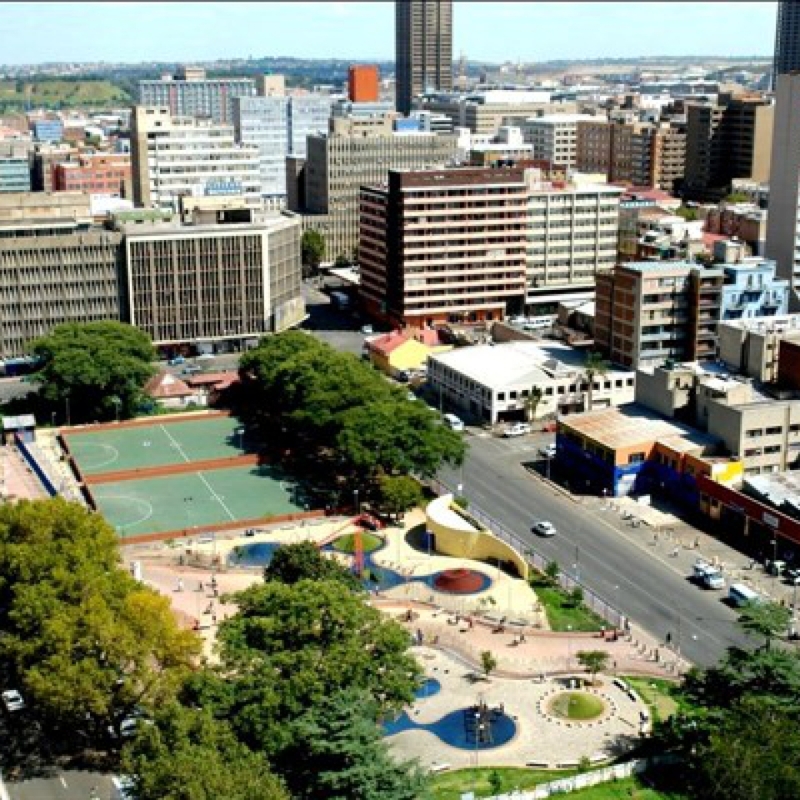 Afhco buildings that surround the park include: 120 End Street, Khan Corner, Frank & Hirsh, End Park House, Mantoll Court, Tollman and Lustre House.